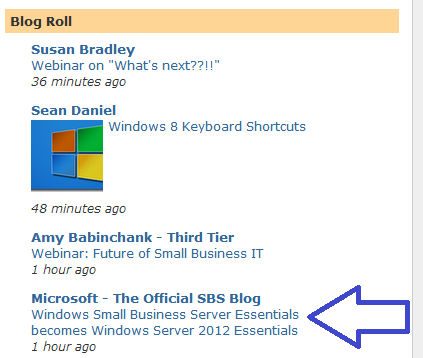 "I’m writing today about a significant milestone for Windows Small Business Server (Windows SBS). With the new Windows Server 2012 line up,Windows Small Business Server Essentials has been renamed Windows Server 2012 Essentials. By making Essentials a full-fledged member of the Windows Server family, we are reaffirming our commitment to delivering a flexible, cloud-enabled server platform that is designed and priced for small businesses and the partners that serve them. . . .
Windows SBS 2011 Standard, which includes Exchange Server and SharePoint Foundation, will be the final such Windows SBS offering. It will remain available through the OEM channel until December 31, 2013, and will remain available in all other current channels until June 30, 2013." I've posted many times that I think this is where we're going. I did think there would be another version of SBS, primarily because the vast majority of the world does not have the kind of high capacity and stable Internet connectivity required to rely on the cloud for critical services. Urban areas do - for the most part. But we all have clients with 1MB and 2MB internet connections. I hope this is not a surprise to anyone who keeps an eye on Microsoft. It seems like a big mistake to me, but not a big surprise. As I've mentioned many times, Microsoft seems to be actively giving up huge pieces of the market where they absolutely dominate. The Office suite is the biggest example. They totally own that market. But they're giving it up. Similarly, MS owns the small business market. I love the Foundation server. And as of an hour ago it's my favorite Microsoft Server. (I am *SO* glad we included an entire chapter on Foundation Server in the latest version of The Network Migration Workbook!) So that's all good news. But why eliminate a product that has been the core of a vibrant small business market? 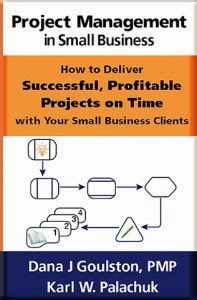 I see a lot of frustration among small business consultants, especially those who have enjoyed their relationship with Microsoft. The team we've know has been dismantled (or it dismantled itself). 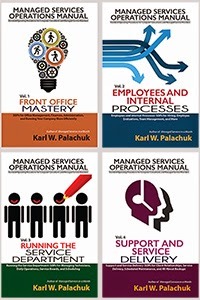 The Small Business Specialist program has been eliminated. Support for IT Pro groups has been sketchy for years. Many people feel like there's no place for them at Microsoft. Relax. Microsoft is a business doing the best they can to figure out what to do. It is very sad, but they appear to be headed for some serious trouble in the next few years. They aren't worried about YOU, but they never were. They engaged small IT consultants when it served them well. And we like to think it served them very well. But Microsoft is moving to the cloud even if it means that other products will finally have a shot at success in the small business market. I think we can look for a number of new offerings in our space. Yes, your relationship with Microsoft will change. But it has always been a lot more one-sided than most people believed anyway. Our friends at Third Tier have already announced that they are putting on a webinar entitled Webinar: Future of Small Business IT. Today Microsoft announced the existence of Windows Essentials 2012 and that this will be the only server in the small business offering. Distributors also announced that SBS 2011 with software assurance will not be available in the market after the end of the month. This webinar will be an open discussion with Susan Bradley, Brian Higgins and Amy Babinchak and you. During this meeting we will present our candid views on our reaction to this news and what we think the future holds for small business IT. We will have the Q&A live for your comments and reaction to this news. Please join us for this first look at the future of IT for small business. July 10th at 6:00pm Pacific time. Don't worry, folks. It's just another day in the woods. We saw this coming a couple of years ago about the time of the 'Transition to the cloud' conference in London. We've been a Microsoft house since the late 90's and the most surprising result of moving to cloud technologies for me is that we are using less Microsoft software and have become comfortable and familiar with open source products including Linux. We found a viable Exchange alternative in Kerio Connect for those of you who need and want to keep an on-premise mail server. Can't help thinking that MS is going to become less and less visible in the SME space over the next few years. We had a Microsoft WW SMB PAL meeting yesterday in Toronto at WPC. For this msg I'm going to try to leave out my feelings of SBS or SBSC going away and about how the news was annouced by Microsoft to the channel. Instead allow me to focus on a few items I learned today that I wanted to share. - Windows Server 2012 Essential is indeed the new solution for small businesses. Now being defined as 1-25 employees. - Mid-Market by Microsoft is now being defined as 26-250 users. - W12 Essential is a similar code base as the regular server line. As such, it can be increased beyond 25 users through a "script" that removes its 25 user limit. And without any migration or conversion. Something that SBS never had the ability to do. - SBS will continue to be sold through June 2013, Dec 2013, and 5+ years depending on licensing models like VL, OEM, and embedded. I should have a date table shortly to share. - Existing SBS family Service Packs will continue per Microsoft normal end of life or approx 5 years. - It is supported to run W12 Essentials under a W12 Standard Hyper-V configuration with Exchange Standard running along side it. Hence, a close configuration as to what SBS is today. - It will be posible to standup a new W12 Essential server for say 40 users by installing it and then running the "sales/license script" to lift its initial 25 user limit. You can do this at any time. The features of Essential server will remain while the user limit will be lifted and it will function like that of Windows Standard (including gaining the features of Windows Standard). -It will no longer require an understanding of (all) the "SBS Wizards" to admin the server but rather the W12 family of servers will function similarly. Hence, an ease of product development and future server tech learning. I'll add to the list above once they provide us some due folllow up docs. Thanks, Mark. I am sorry that Microsoft appears to be making moves to decrease their viability in this space just as they are pumping things up at the Worldwide Partner Conference. GREAT info Dave! Thank you. It's good to know there's an upgrade path. The Microsoft sales spiel on this is the usual 'making things easier' and 'what our customers wanted' which is nonsense. What they are doing is taking away functionality and reducing the chance that thousands of technical support staff will get exposed to Exchange and Sharepoint. Small businesses make up the majority of most economies. Small Businesses often grow into large businesses. Removing Exchange from them will unfortunately encourage them to get email service elsewhere. I don't see this as a problem for us whatsoever. Our small biz clients who want Exchange functionality will simply go with a Cloud solution who want Exchange will simply move to Cloud solutions... and we can wrap Hosted Exchange into our Managed Services agreement at no additional charge they get it for free (it's a different tier of MSA). So this can actually be structured as a "win-win" if you sell it right. I'm still managing server resources and making similar monies, however the mix of how it comes to me changes AND my workload goes down (as I now don't have to manage tons of Exchange servers, rather just a couple in our data center, which are on our virtualized farm anyway). For the ones graduating up to mid-market and/or those who are adamant about having a dedicated in-house Exchange server, we can do that also - Exchange is still there, alive and kicking. There's a cost to this, however it's a simple amoritized CapEx versus monthly Cloud Hosting expense(Cost of Exchange plus licensing VERSUS 50 users x $10/mo = $500/mo, multiply that times 3 years, and you can purchase an Exchange Server and be ahead on the total spend over that period of time). Just think outside the box people - pretend that you're doing a business consult for a DIFFERENT I.T. firm. Take away the personal aspect, look at it dispationately, and you'll get clarity pretty quick. This business is about adopting and figuring out the roadmap of how to grow our businesses given the existing and reasonably forecasted market conditions while at the same time providing a better experience for our clients. As a true geek would say... Resistence is futile! Linux is now inevitable and will beat Microsoft in the server market. Most small business owners do not want their data stored somewhere in the world, managed by somebody they don't know and who probably speak in broken English at best. Data security and Internet issues still plague the cloud movement. Hmmmmm.... I'm not sure what you mean about Linux. Out on the internet for things like web servers and LAMP, Linux rules. Inside client physical offices, Linux is insignificant and appears to be staying that way. When clients move off to the cloud, who cares what the O.S. is of a data share? That's like caring how many processors on the server for your Verizon voicemail. Even Microsoft's cloud fully supports Linux servers, so MS will make money on whatever you choose to run. Man, Rick, I agree with you So Much! Especially that last point. If you were an energetic, talented, young graduate 22 years old and entering this field today, how would you sell against an old fossil like me? It would NOT be by figuring out how technology was delivered ten years ago and forcing that on your clients. You wouldn't consider web services in-house, Exchange in-house, or SharePoint in-house for anybody less than 25 seats. You have to right-size the technology solution. When we only had one solution, it fit every problem. Now we have lots of solutions, so we can craft specific solutions to specific problems. Its an unfortunate development, SBS has offered small business the opportunity to leverage corporate level IT solutions at an affordable price . For my client the removal of Exchange and sharepoint will be a huge issue. The cloud is not the answer in the business market –nearly all of our clients work with sensitive data, both government and private sector and any cloud based solutions is prohibited. This is unlikely to change in short or long term as security concerns of putting data into the cloud are justified and real. I have a business partner that migrated to office365 for hosted exchange. The feature/benefit argument is GREAT - if you have a Zigabit connection to the internet and then it is still laggy. In-house exchange on enterprise or SBS platforms at least gave you instant gratification. things worked and worked very, very nicely. hosted is abysmally slow on a business class 12/2 internet connection. Email notifications come in what seems to be a decade later. Hell, my hotmail IMAP account gets mail notifications faster! Lots of technology is never going to be in the cloud. Everyone needs to find the balance that works. So far, O365 seems to work best with people who are very tolerant of downtime. I agree wholeheartedly with the author. The only thing I would add is it is not believable by me that these missteps by Microsoft are unintentional. There has to be another angle that makes sense. I understand Microsoft's desire to make money with cloud services. I can see them wanting to push SAS with Office 365 because people don't upgrade Office until they get a new computer, and putting people through a learning curve that has a negative ROI doesn't make sense for the businessman, so this creates a revenue stream.. The only customer I have that toys with keeping their private information on someone else's server has two mobile employees. The others only if they own the cloud and have direct physical security over the "Cloud" server(s). For many businesses, to store private information on a server where they don't have absolute physical and access control, is not even legal, and for the remainder, it is unwise. It is like a fox is guarding the hen house. A fox who is paid directly or indirectly by the highest bidder for your private information. Bidders include the government, any attorney looking for work, and spammers. The best cure for Office 365 is to have people use it. In the past, I've sold a lot of people on SBS because you cannot buy the add-ins necessary for UNIX for the price they come integrated into SBS for. By dropping SBS, Windows server alternatives increase. We're now evaluating ?NIX to fill that role. The advantages are no CALs, no processor core counts, and far fewer malware issues. The drawback is if you need server apps, which many do not. Based on Microsoft's current behavior, it seems they believe they are visionaries, and people come to learn from them how to do business. On the contrary, business owners buy computers and software to do what it takes to efficiently support their businesses. They educate Microsoft. For Microsoft to now believe that they are in a position to dictate what businesses will use, is like the tail believing it can wag the dog. IBM arrived at the same position and it resulted in them losing their influence to the PC. Microsoft's heavy handed approach with WP7 lost them their mobile developers, who left and created the tools and applications that make up the huge Android culture today. Many of the tools and applications are portable with little effort to Linux, UNIX, and Apple. Microsoft's mobile market share is so small that developers no longer develop apps for it..
Microsoft took the same failed WP7 model, applied it to the desktop with Windows 8. The default "Modern Apps" are very limited, and based on the old paradigm of full screen apps which went out in the 80s. The rejection is not resistance to change, it's decision makers who know a legacy app when they see one, and Metro apps are legacy apps. The business world, for productivity reasons, has deployed millions of multiple monitor workstations so employees can have many windows open at a time. Microsoft then comes along with full screen 1980 capable apps, and declares it as their vision for the future. Business owners who can't even type know that real keyboards, mice, and logical menus, are far more efficient than pointing with your finger, trying to determine which tab you should be on, and then guess what the pictures represent. Nobody would have cared that they got rid of the Start button if they had replaced it with something more efficient. That is where the failure was, and the same goes for Metro apps. The 16 color environment makes it more difficult to interpret the position of windows on the screen. ?Nix does not have the critical mass necessary to start any kind of a market shift with only 1% of the market. However, Microsoft rescued Android with WP7, so there may be hope. We just got finished with our w7 desktop and 2008R2 server deployment. We won't be bothering with any new MS software for another 5 years at least and by then, all of this your talking about will be obsolete and MS will be on the next new kick. Im overjoyed at the death of SBS. None of the technologies they smooshed were recommended to share a server, but there they were. Clients always wanted maximum performance on minimum hardware requirements, and never understood why that wasnt possible. Because MS always GROSSLY underestimated those requirements, thats why. The Pricing, the licensing, all confusing. And if ONE thing broke, nothing was compartmentalized, so it ALL when offline. DEATH to the SBS, move them to a NAS, with hosted services. Win all day.